Dr. Swetanshu Chaudhari is a board-certified plastic surgeon, whose practice serves patients in Friendswood, Pearland, League City, and Clear Lake, specializing in cosmetic surgery of the face, breast augmentation/reduction, body contouring, and female rejuvenation. Dr. Chaudhari graduated from the UCLA School of Medicine in Los Angeles, CA, where he fell in love with the practice of plastic surgery. He found plastic surgery to be the most refined and mentally stimulating specialization of surgery. After medical school, Dr. Chaudhari completed a 5-year General Surgery residency training at the Southern Illinois University School of Medicine. 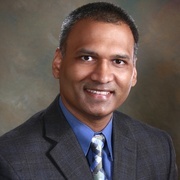 Dr. Chaudhari then completed a Burn Surgery Fellowship at Indiana University Medical Center, where he worked as the only burn fellow in the state of Indiana. Most recently, Dr. Chaudhari completed his three-year residency in plastic and reconstructive surgery at the historic University of Texas Medical Branch (UTMB) at Galveston. During this plastic surgery training, he spent 3 complete years learning all aspects of plastic surgery, from cosmetic surgery of the face, breast, and body, to complex reconstructive surgery for cancer patients, to hand surgery and hair transplantation. Envie três fotos hoje e veja uma simulação 3D durante sua próxima consulta com Swet Chaudhari. Veja seu atual corpo/rosto em 3D antes da consulta e tenha acesso desde casa para ver simulação e compartilhar com amigos depois da consulta e assim tomar uma decisão mais segura. Depois da consulta com Swet Chaudhari, é possível pedir acesso e também compartilhar com seus amigos e familiares e ter opiniões.